Zounds! 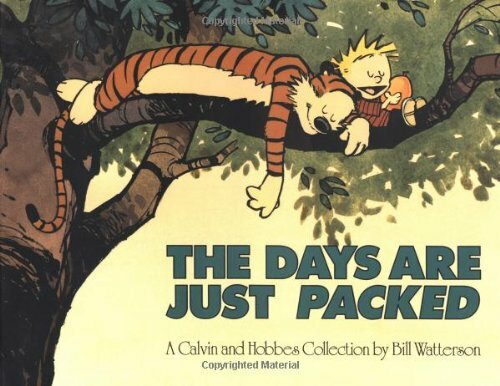 Spaceman Spiff, Stupendous Man, the ferocious tiger Hobbes, and the rest of Calvin's riotous imagination are all included in The Days Are Just Packed. Calvin, the irrepressible pint-sized tyrant, is always bursting with energy. And the volume's oversized 12-by-9 inch format provides Calvin's outrageous fantasies room to explode. Dozens of Sunday strips are lavishly reproduced in color for The Days Are Just Packed, along with Calvin's amusing weekday adventures.